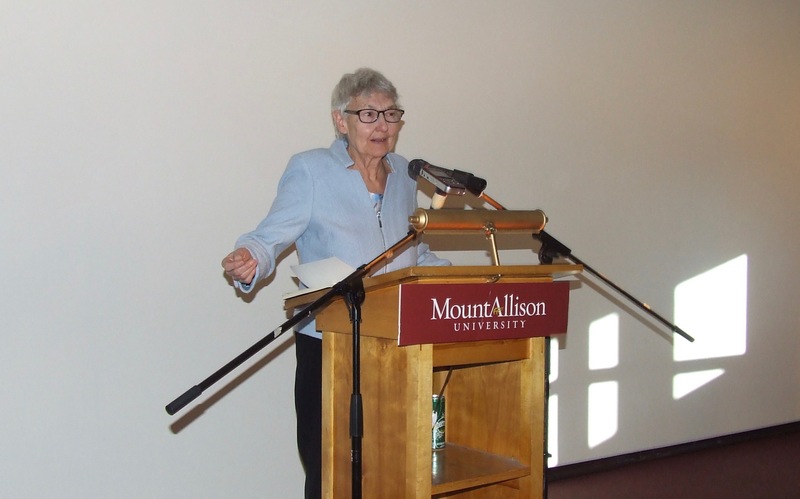 Sackville poet Marilyn Lerch fought back tears Sunday as she addressed almost 100 people at the Owens Art Gallery during the launch of her fifth book, That We Have Lived At All: Poems of Love, Witness and Gratitude. 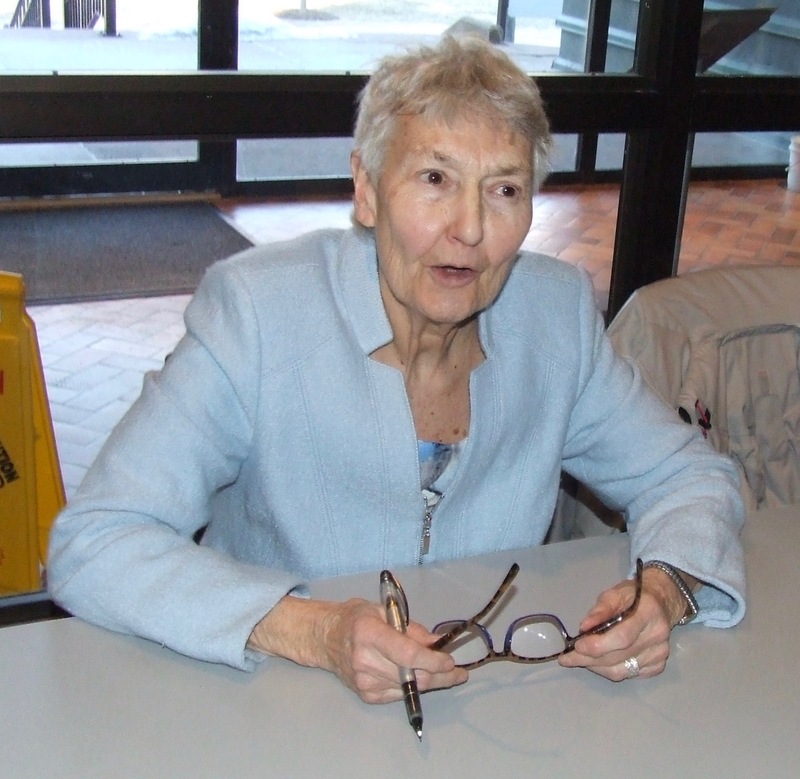 Lerch, who has just finished a four-year term as Sackville’s poet laureate, received many rounds of applause as she introduced and read several of the poems in a collection with a wide range of themes: community; love and loss; a sustained celebration of the Earth’s natural beauty; and anger and foreboding over the ways in which human beings, their systems and technologies are relentlessly destroying that beauty. and we know it will go on like this. so listen to a songbird and weep. “In the most general terms, my poetry comes out of a preoccupation with disappearance and acceleration and how what it means to be human is changing,” Lerch said. She explained that by disappearance she meant extinctions of species and also what she termed the disappeared. “By that I mean capitalism’s implacable war against any group, movement, uprising or nation that threatens it,” she said, adding that the many U.S. interventions in Latin America, including the current one in Venezuela, are an example of this war. “Acceleration to me refers to technology produced without thought to the precautionary principle; the mania for newness is both cause and effect of consumer pathology,” she said, adding that both disappearance and acceleration feed global warming. Lerch drew laughter when she wondered about the advent of computers that process 10,000 financial transactions per second. “What do you do with that?” she asked. “How ironic that globalism creates tribalism,” she said. “How incredibly fast the dream of everyone connecting to everyone else on the World Wide Web has morphed into cyber-warfare, voter meddling, shutting down a nation’s electrical system. that we have lived at all. During the question and answer period after her readings, Lerch said she makes no apologies for writing poetry that deals directly with the big political issues of our time. “I think Adrienne Rich said ‘poetry doesn’t change anything, but nothing changes without poetry’. I like that,” Lerch concluded. This entry was posted in Arts, Environment, Interesting people, Town of Sackville and tagged Adrienne Rich, Marilyn Lerch, Owens Art Gallery, That We Have Lived At All: Poems of Love Witness & Gratitude. Bookmark the permalink. Thanks for this article. Didn’t know Sackville had a poet laureate.